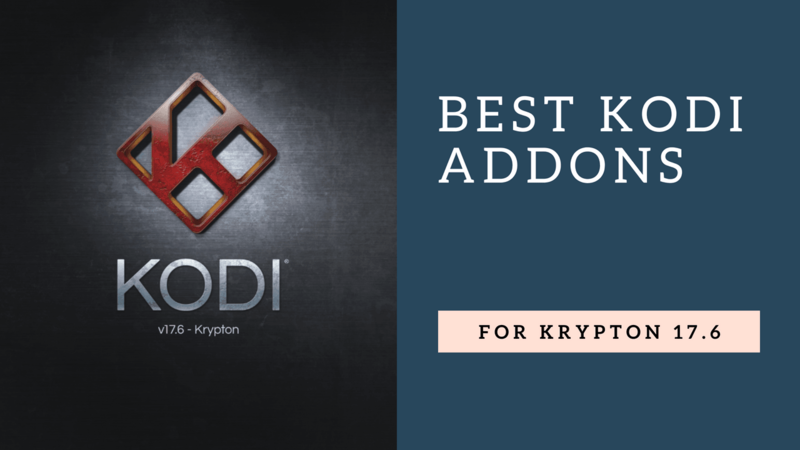 In this article, we are going to review some of the best Kodi addons 2019 for Krypton 17.6. You will learn about their main features as well as how to install them. You will need a good VPN if you plan to stream copyrighted content on Kodi. See our list with recommended VPN providers for Kodi. What's your favorite Kodi Addon? For a long period, this add-on was considered as the best add-on for Kodi. It provides a huge variety of shows and videos. Recently, a new version was announced as the previous one went offline. That means that now everyone will be able to enjoy the highest quality content at any time. 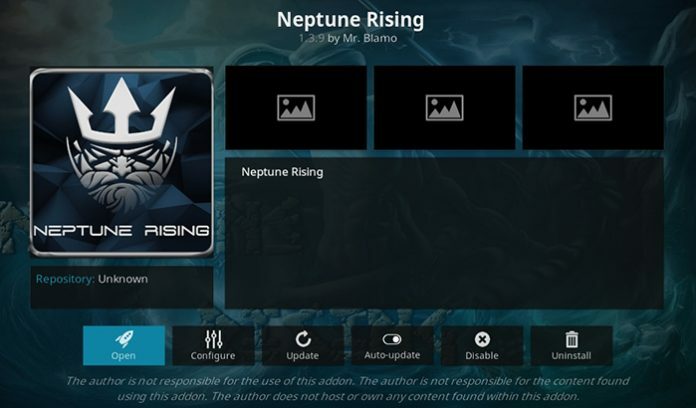 Neptune Rising offers a great interface and a premium quality content. You will be able to watch online a lot of brand new movies and the most popular TV shows. All the content is divided into a number of categories. In addition, there are a lot of ways to sort the files, for example by language, country or genre. The developers try to make sure that all the files are available and fix issues when users cannot access something. However, the new version does not provide all of the sub-categories the previous one did. So it is a bit worse but still one of the best options available. Add the Blamo repository (we described how to do this in the previous article about Kodi). Open Add-ons — Add-on browser — Install from the repository — Blamo Repo — Video add-ons — Neptune Rising — click Install. 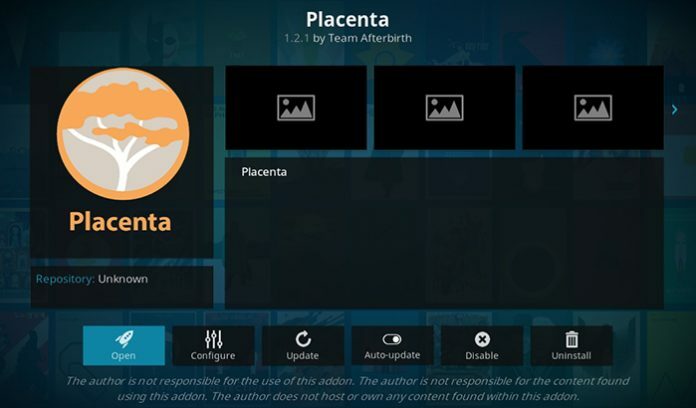 Placenta is very similar to the Neptune Rising add-on and provides a huge variety of video content in the highest quality. 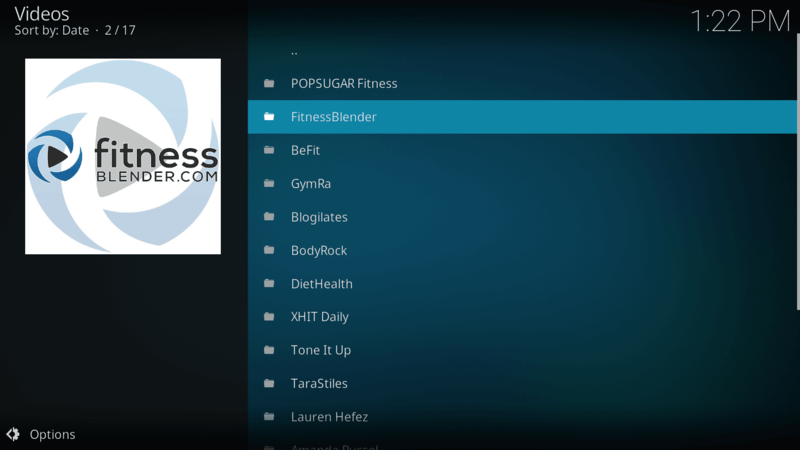 Additionally, this add-on provides categories such as Kids, Music, and Fitness. The extension gets regular updates, and some of them provide entirely new capabilities. Despite some legal issues, the developers do not give up and everyone can enjoy the greatest video content. It works like an online scraper. What does it mean? You will always get the working file. Even if the file is deleted for some reason, the developers quickly fix the issue. Open Add-ons — Add-on browser — Install from the repository — Blamo Repo — Video add-ons — Placenta — click Install. This is another add-on that was abandoned by its previous developer but was resurrected by another team. It is now supported by other developers than the one that created it and has again become one of the best Kodi extensions. Like the two previous products, Genesis Reborn relates to TV shows, movies, and series. However, it provides a different approach to browsing the content. Apart from getting the general information about the movie, you will be able to get the IMDb ratings, as well as lists of top-rated and trending movies. This add-on provides a huge variety of available links to get the file. So, if for some reason you cannot stream the content using one link, you can change to another one. The developers also say that you don’t even need a high-speed connection. Open Settings — File manager — Add source — type or paste http://jesusboxrepo.xyz/repo — name the repository Jesus Box Repo. After that, go to Add-ons — Enter add-on browser — Install from zip file — Jesus Box Repo — repository.jesusboxtv-1.0.3.zip. Open Install from the repository — Jesus Box Repo — Video add-ons — Genesis Reborn — click Install. 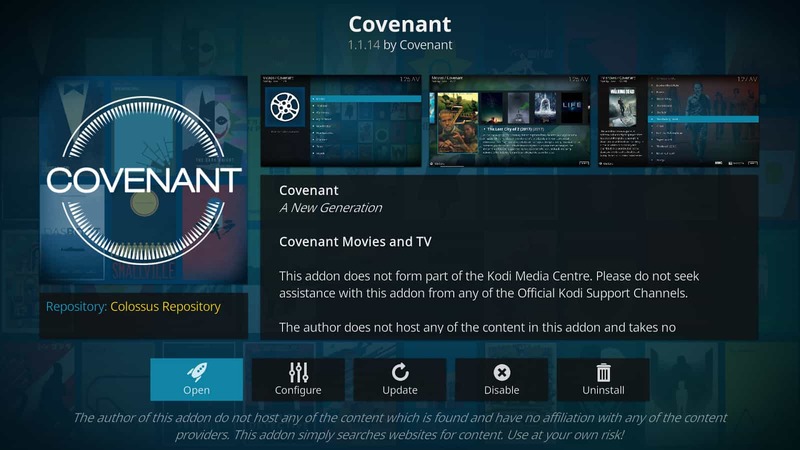 Those who have been using Kodi for a long time heard a lot about Covenant as being one of the best extensions for streaming media content. Some time ago, its developers abandoned the project. Now, a new team resurrected it and everyone can enjoy this great add-on, which provides a huge variety of shows, series, and movies. The extension provides very easy to use and intuitive navigation. You will be able to choose any video content from numerous categories. In turn, you are able to filter the content by popularity, genres, languages, countries and many more options. This add-on can also be integrated with Trakt.tv. It helps to import the list of shows and movies you are going to watch. Open Settings — File manager — Add source — type or paste http://aeom.cf/repo/ — name the repository All Eyes on Me. After that, go to Add-ons — Enter add-on browser — Install from zip file — All Eyes on Me — repository.alleyezonme.zip. Open Install from the repository — All Eyes on Me — Video add-ons — Covenant — click Install. This is one of the best tools of Exodus, which was extremely popular some time ago. So, if you miss those good old times and feel sorry that you cannot use the Exodus add-on, enjoy the Incursion extension, which offers the same functionality. The extension offers a lot of video content of the highest quality. All the movies, series, and shows are divided into smaller categories and can additionally be filtered by region, language, genre, content providers etc. You will also be able to add third party content providers to add much more content than the one that is available. You will find almost zero broken links. Anyways, feel free to contact the developers who will fix the issue as soon as possible. 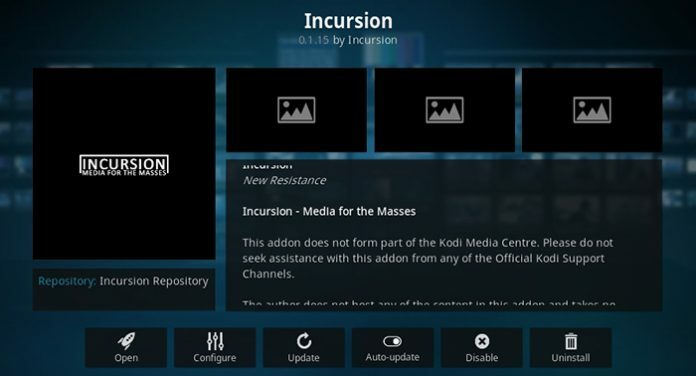 Considering all its possibilities and tools, we can say that Incursion is one of the best addons for Kodi to watch movies. Open Settings — File manager — Add source — type or paste http://fusion.tvaddons.co — name the repository Fusion. After that, go to Add-ons — Enter add-on browser — Install from zip file — Fusion — repository.xbmchub.zip. Open Install from the repository — Fusion — Video add-ons — Incursion — click Install. 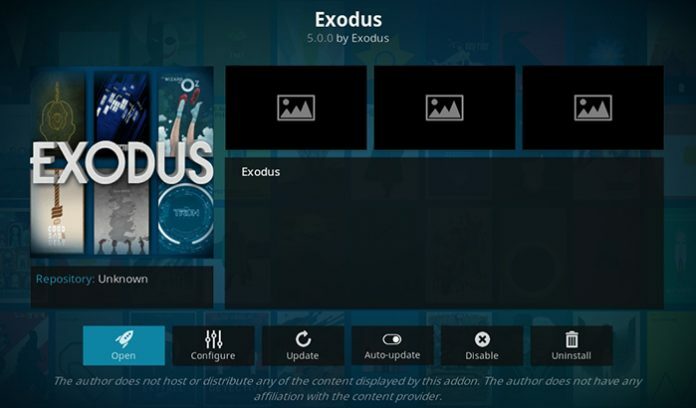 This is the most popular movie add-on for the Kodi Player. It was banned some time ago, but now you can enjoy it again. It is a full-fledged extension providing a huge library of movies, shows, online channels, and even radio stations. The database is regularly updated so you will get the latest and the freshest content. All the files are divided into categories. You can also add any file to your favorites. Furthermore, all content is categorized by genre, year, rank, and country. Additionally, you can see the most watched, highly rated and top-ranked movies and shows. You will be able to watch British Sky TV channels, access the best shows produced by Hulu, Netflix, HBO, Fox, Stars, and many other channels. Open Settings — File manager — Add source — type or paste http://archive.org/download/repository.xvbmc — name the repository Repository.XvBMC. After that, go to Add-ons — Enter add-on browser — Install from zip file — Repository.XvBMC — repository.xvbmc-4.2.0.zip. Open Install from the repository — Repository.XvBMC — Video add-ons — Incursion — click Install. This is a really great add-on containing a lot of high-quality educational movies. If you like learning something new, you will find a lot of interesting things there. The add-on is quite simple, however, you will be able to access a variety of content divided into more than 40 categories. In addition, you will even get online streams. FilmON provides a bunch of exclusive movies. This extension is really worth trying. Open Settings — File manager — Add source — type or paste http://fusion.tvaddons.co/ — name the repository TV Add-ons. After that, go to Add-ons — Enter add-on browser — Install from zip file — TV Add-ons — repository.xbmchub-3.0.0.zip. 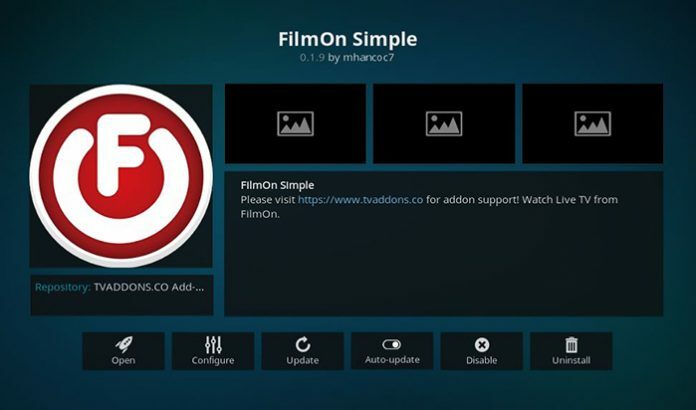 Open Install from the repository — TV Add-ons — Video add-ons — FilmON Simple — click Install. Some experienced users may remember the Bubbles add-on that provided paid access to premium content of the highest quality. Those who could afford to pay several dollars every month were able to access a variety of content. That service is no longer available, but Gaia is its successor. Just like the previous version, Gaia offers access to video content on paid basis and even includes Usenet and torrent trackers. However, you are able to use the extension for free but be ready to pay several dollars for the most interesting content. If you don’t want to pay, you will still get plenty of free resources which are not bad at all. There is a variety of interesting content for free users. We are pretty sure that you will like the add-on. Open Settings — File manager — Add source — type or paste http://repo.gaiakodi.com/ — name the repository Gaia. After that, go to Add-ons — Enter add-on browser — Install from zip file — Gaia — repository.gaia.zip. 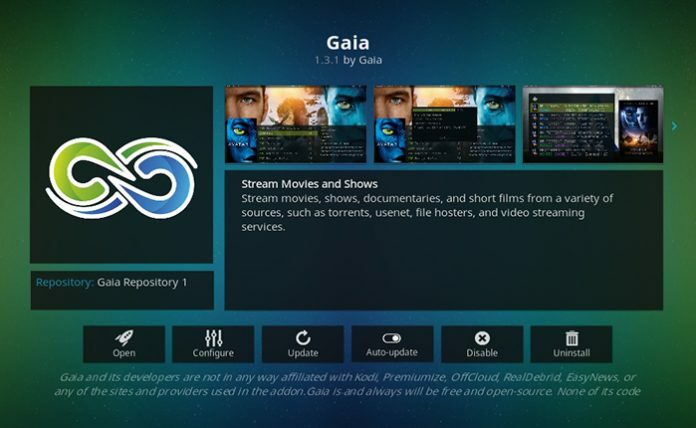 Open Install from the repository — Gaia — Video add-ons — Gaia — click Install. BBC is the most popular British TV channel in the world. 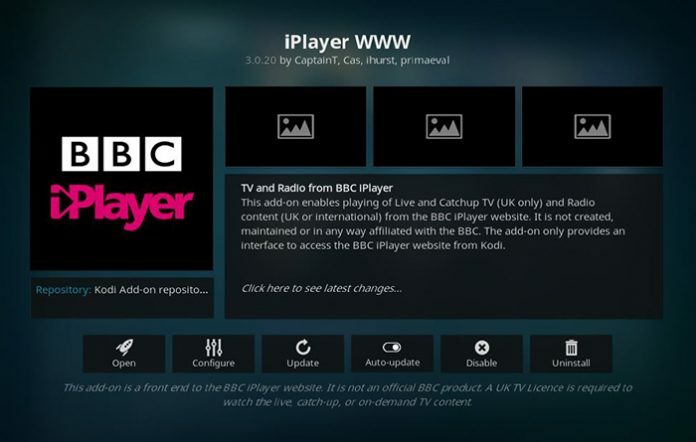 Apart from broadcasts via satellite and on-air, it provides full access to its content on the BBC iPlayer platform. You are able to watch online broadcasting, as well as all the shows and documentaries aired in the last 30 days. The only downside is that you need to have a UK IP address. The best and the easiest way to overcome this is to install a VPN service. With this add-on, you get access to movies, series, educational and documentary content, as well as sports events. All content is well-structured, and you can additionally filter it by genre or type of content. Open Add-ons — Download Video add-ons — iPlayer WWW — click Install. Alternative option: click on Search icon — Search Add-ons — enter BBC iPlayer — iPlayer WWW — click Install button. Despite the problems that the extension faced some time ago, it is still one of the best and most popular add-on for watching movies and shows. It offers plenty of useful and interesting TV channels on different topics. Having installed the extension, you will be able to see a lot of great TV channels from different parts of the world. They are divided into about 20 categories that make it easier to find the one you want and watch what really interests you. In addition, there is a list of the most popular and the best channels. Open Settings — File manager — Add source — type or paste http://kdil.co/repo/ — name the repository Kodi Israel. After that, go to Add-ons — Enter add-on browser — Install from zip file — Kodi Israel — Kodil.zip. Open Install from the repository — Kodil Repository — Video add-ons — cCloud TV — click Install. This addon is developed by an online streaming service and allows you to watch your favorite channels. Despite the fact that you will have to pay a monthly fee for most of them, some channels are available for free. The service offers a wide range of channels — you are able to get music channels, sports events, favorite TV shows, as well as news or documentaries. Most channels are available in HD quality. You will require the service account, and the site account connects to the add-on in a minute or two. Download the zip archive and save it to your device. Go to Add-ons — Open from zip file — choose the file you previously downloaded — click Install button. Enter your login and password to benefit all the service features. It seems that there is no person using the internet at least sometimes who has never heard about YouTube. This is the largest video hosting provider in the world. It provides a lot of opportunities and billions of videos. The add-on offers almost the same functionality as the website. You will be able to access your subscriptions, history, favorite videos, as well as playlists. 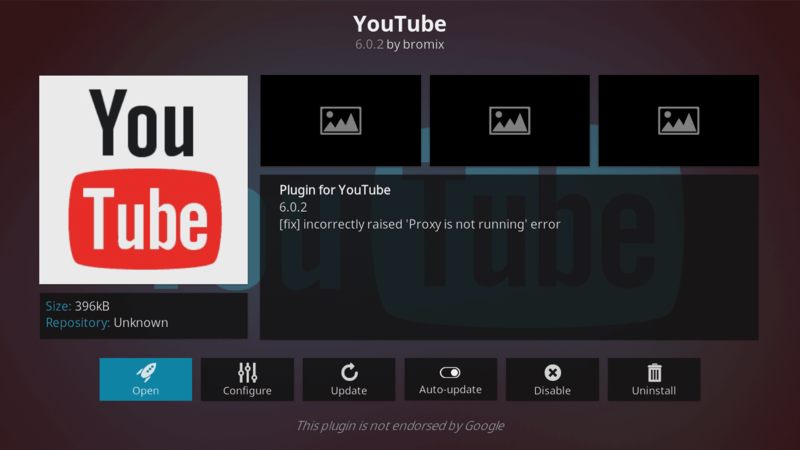 After installation, do not forget to connect your YouTube or Google account, otherwise you will not be able to use the extension. As the add-on is available in the official Kodi repository, in the main menu open Add-ons — Download Video add-ons — YouTube — click Install. Alternative option: click on Search icon — Search Add-ons — enter YouTube — Media sources – YouTube — click Install button. 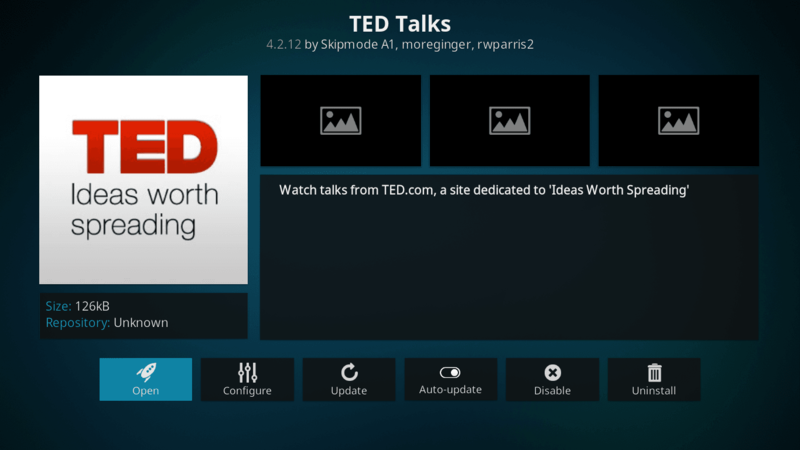 TED talks is an extremely educational platform providing a huge variety of video lectures and other materials on a bunch of topics. The lectures are given by industry leaders, volunteers or just interesting people who are well known for their active positions. With the add-on, you will be able to access all the lectures archive, as well as add your favorites and view the most popular videos. As the add-on is available in the official Kodi repository, in the main menu open Add-ons — Download Video add-ons — TED Talks — click Install. Alternative option: click on Search icon — Search Add-ons — enter TED Talks — Media sources – TED Talks — click Install button. 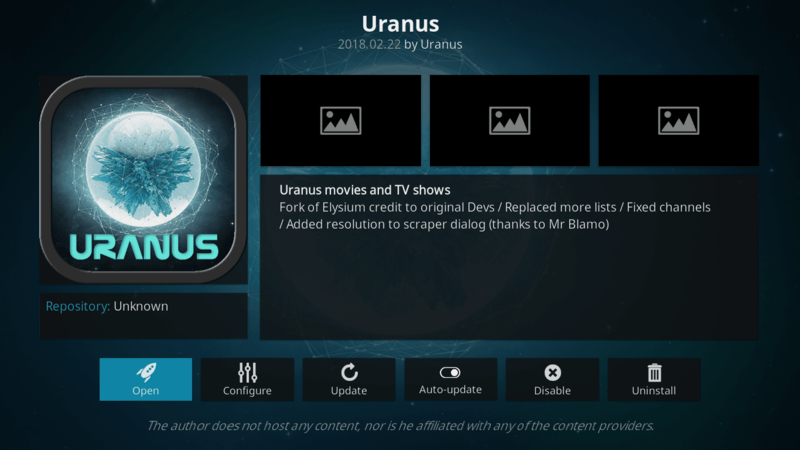 Uranus is another great add-on providing a lot of online streams, as well as recorded videos, movies, and shows. You will be able to watch a lot of content grouped into different categories. Additionally, you can filter the content by country, language, year, or popularity. Moreover, you will be able to connect to a Trakt.tv account and watch its premium content. After that, go to Add-ons — Enter add-on browser — Install from zip file — Blamo — repository.griffin-0.0.6.zip. Open Install from the repository — Griffin Repository — Video add-ons — Uranus — click Install. This add-on gives access to a lot of cartoons and videos for kids in premium quality. It’s free of charge and is completely legal with no restrictions. However, it is available only in the United States, so you will require a VPN connection to an American location. As the add-on is available in the official Kodi repository, in the main menu open Add-ons — Download Video add-ons — PBS Kids — click Install. 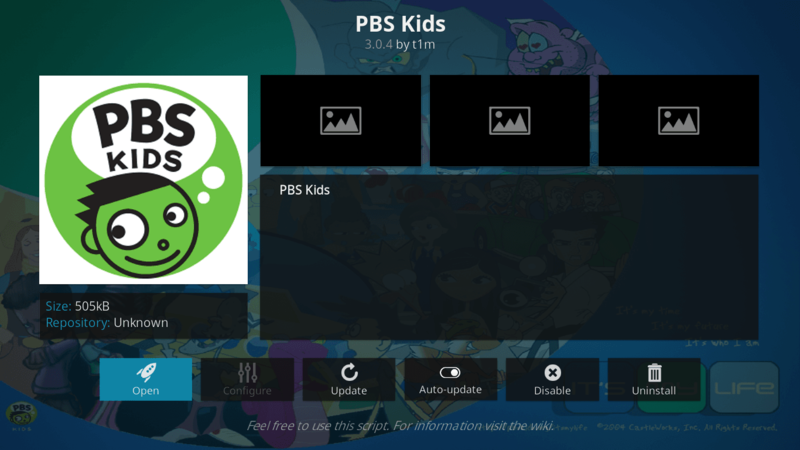 Alternative option: click on the Search icon — Search Add-ons — enter PBS Kids — PBS Kids — click the Install button. This add-on allows you to watch one of the most popular cartoons in the world which attracts not only children but also adults. 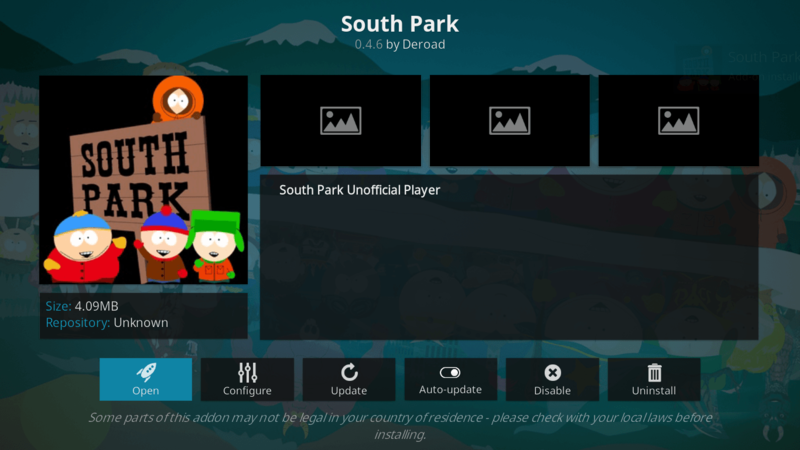 The add-on will let you watch specific or random South Park episodes. As the add-on is available in the official Kodi repository, in the main menu open Add-ons — Download Video add-ons — South Park — click Install. Alternative option: click on the Search icon — Search Add-ons — enter South Park — South Park — click the Install button. This is one of the best extensions to watch anime. It is not free, and its monthly subscription fee is $7.95, but the service provides two weeks trial period, so you will be able to understand whether it suits your needs or not. After you sign up for the full subscription, you will have access to a bunch of anime cartoons. As the add-on is available in the official Kodi repository, in the main menu open Add-ons — Download Video add-ons — FunimationNOW — click Install. 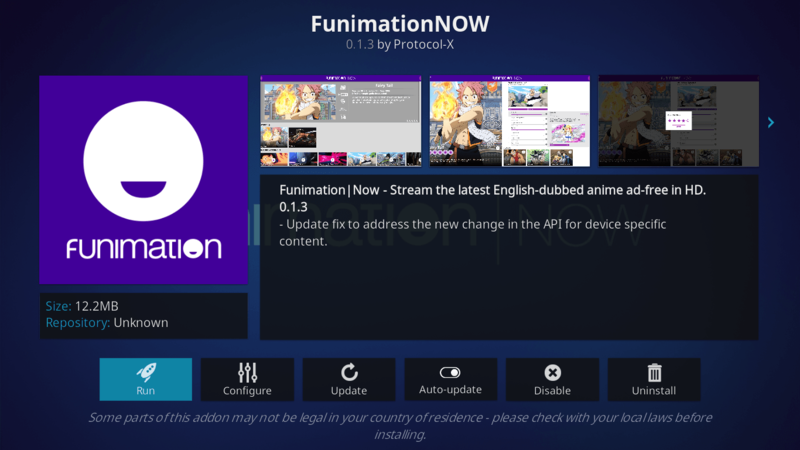 Alternative option: click on the Search icon — Search Add-ons — enter Funimation — FunimationNOW — click the Install button. 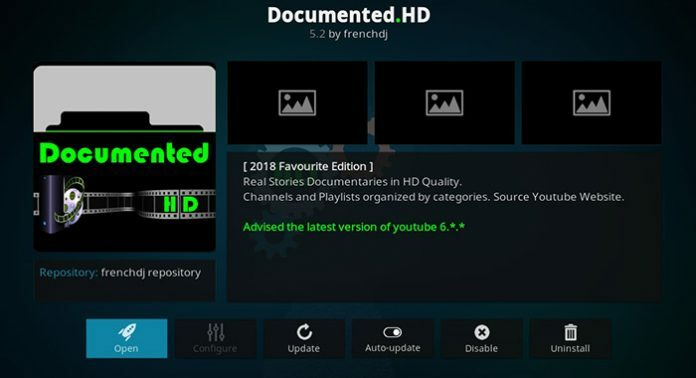 The Documented.HD add-on is the greatest choice for those who adore watching documentary movies. Due to its specific content, it became extremely popular in a very short time. We could not find another similar extension for Kodi, one that provides only documentary movies, so, it is unique. Having installed the add-on, you will be able to access the best and the most intriguing documentary movies. The service provides thousands of files. The variety of topics includes documentaries about nature, conspiracies, space, biology, science, serial killers, criminology, history, and many others. You will find almost anything that may interest you, even just in theory. Add the Fusion repository (see the Incursion add-on mentioned above). After that, go to Add-ons — Enter add-on browser — Install from zip file — Fusion — Kodi-Repos — English — repository.xbmchub.zip. Open Install from the repository — Fusion — Video add-ons — Documented.HD — click Install. This is another great add-on providing a lot of interesting documentary movies. You can find the greatest content on a huge variety of topics and subjects such as history, computer science, the Cold War, British history, biology, astronomy, and many others. The videos are categorized, something that highly simplifies the search for a specific movie. Try this add-on if you adore documentary movies. Open Install from the repository — Griffin Repository — Video add-ons — Griffs Docs — click Install. Do you like international movies? Most people do, especially if we talk about Indian movies. And ErosNow is one of the best extensions to watch the Bollywood films out there. It is completely dedicated to the Indian cinema. You can completely rely on this extension if you want to find some old bestseller or get the latest movies. The user is able to filter the content by year, actors, or genre. Additionally, the content is categorized by similar categories which really simplifies your experience. Moreover, the extension provides a search tool which you can use to look for a specific movie. It is an interesting service and you definitely must try it. Go to Add-ons — Open from zip file — choose the file you previously downloaded — click the Install button. 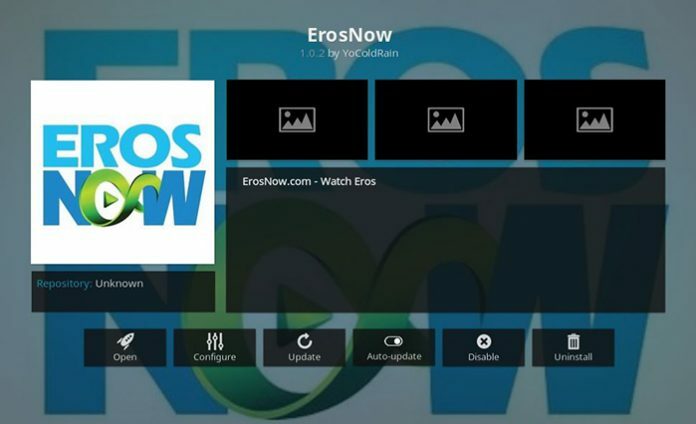 Although ErosNow will work perfectly, it’s not a bad idea to have an alternative option. So, meet India4Movie which is also dedicated to the Indian cinema. It provides a lot of great content in good quality. It takes the files from several sources, which are quite reliable, to make sure you always get a working service. One of its benefits is that the extension provides the ability to also watch new Hollywood movies, not only Bollywood ones. All the content is categorized by a year and genre. Although it may have some issues, you will be able to find anything you want. Try this add-on too, we are sure you will like it. Some time ago, this add-on had some problems and was even unavailable for several months. But it now works again and provides really great content. 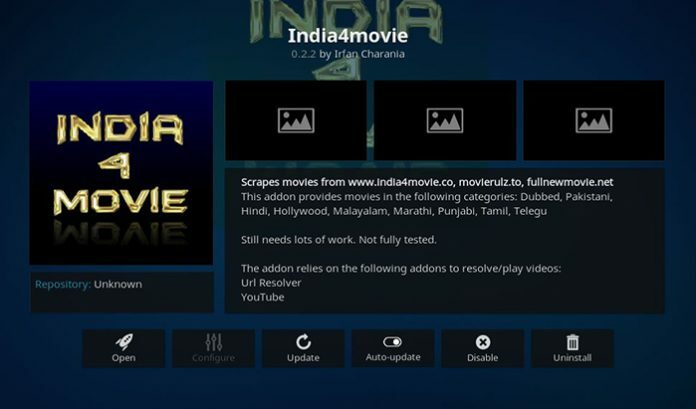 First of all, it is designed for those who like Middle Eastern and Indian content including movies, shows, and sports events. Most programs are made in India and Pakistan. Additionally, the extension includes a Punjabi section. Moreover, it provides sports and movies sections where you can watch a lot of Middle Eastern live channels and sports events, like cricket, football, and many more. Add the Kodil repository (see the cCloud TV add-on mentioned above). Open Install from the repository — Kodil Repository — Video add-ons — Zem TV — click Install. CBC is a really great sports portal. With this add-on, you will get full access to the CBC Sports where you will be able to watch live events, highlights, replays, statistics, and much more interesting content related to Canadian and international sport. This service is available completely for free in any part of the world. However, you will require a VPN connection to a Canadian server. Download the latest repository version from this page. Add-ons — Enter add-on browser — Install from zip file — find the previously downloaded file — click on it to install. 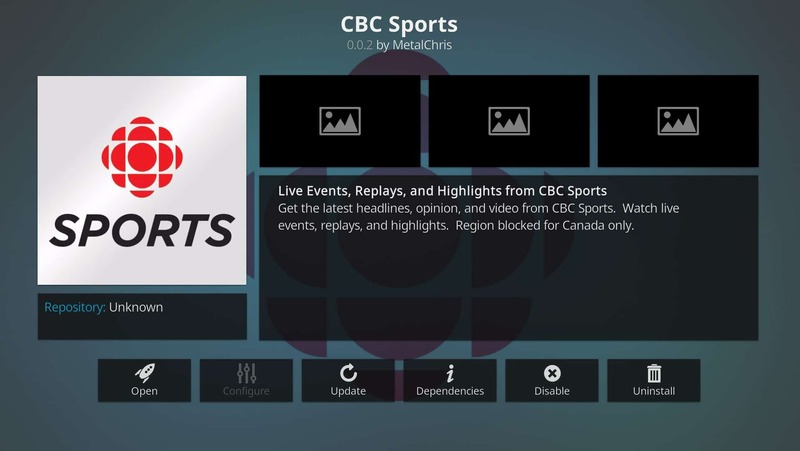 Open Install from the repository — MetalChris’ Repository — Video add-ons — CBC Sports — click Install. 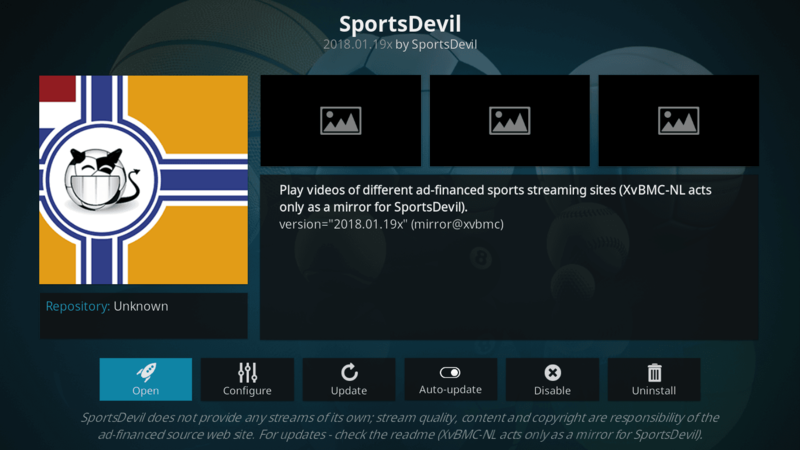 SportsDevil is a very popular addon to watch sports events and sports channels online. It broadcasts a lot of football, tennis, hockey, cricket, cycling, racing events, and many more. The extension became a favorite for most football fans because it allows watching the FIFA World Cup 2018 in Russia. As a customer, you will be able to stream live events, pre- and post-match studios, highlights, reviews, replays etc. The add-on provides all 12 beIN Sports channels so you will be able to stream all the best football leagues including the English Premier League. What channels will you be able to watch? Among others, you will get access to Fox Sports, Sky Sports, ESPN, BT Sports, Racing UK, Star Sports, Box Nation, NBCSN etc. 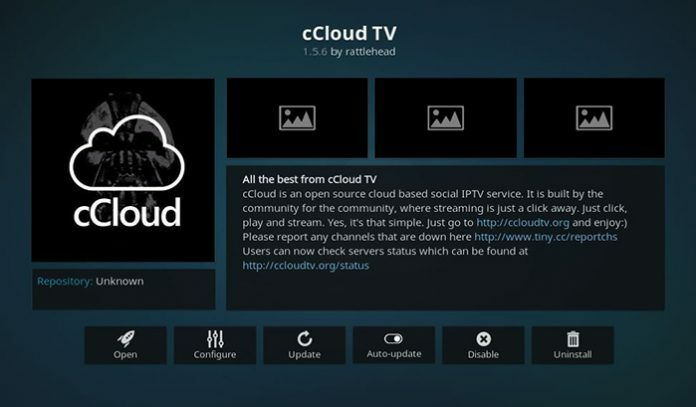 Add Kodil repository (see the cCloud TV add-on mentioned above). Open Install from the repository — Kodil Repository — Video add-ons — SportsDevil — click Install. The add-on allows watching any sports content in premium quality. You will be able to select the event you want to watch as well as the stream quality. Most probably believe that there is no event that you will not be able to watch. Besides live events, the visitors can stream online sports channels for free. All the content is divided into different categories and sorted by sports, countries, and events. What events will you be able to watch? There are a bunch of competitions in the variety of sports including football, UFC, wrestling, soccer, NHL, NBA, MLB, NFL, and many others. 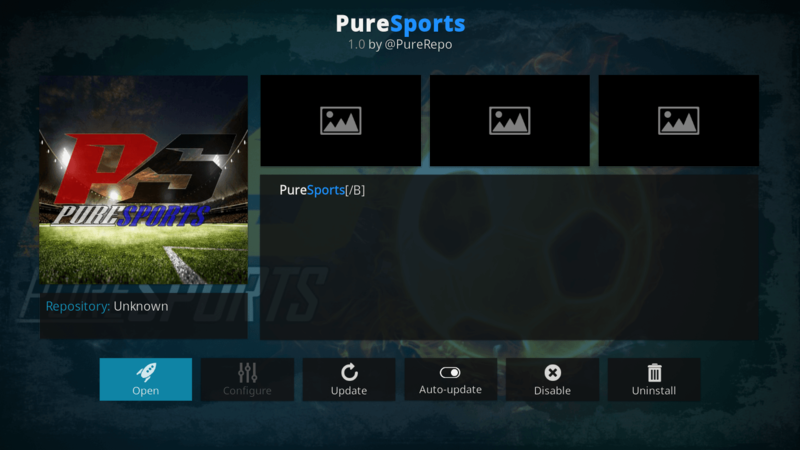 Open Install from the repository — Pure Repository — Video add-ons — Pure Sports — click Install. To make your body stronger and more attractive, there are a lot of video guides and instructions on how to do the correct exercises. Also, there are a lot of motivational videos. In order to not to look for them in various resources, Pulse Fitness gathered many of them in one place. You just need to install the extension and get the best fitness programs from professional trainers. The add-on provides a lot of information about diet, exercises, healthy living, weightlifting, running, special training, yoga, and a lot of other great things. In other words, it contains all the necessary information about how to make your life healthier and your body more attractive. Just try it and you will definitely enjoy its capabilities! 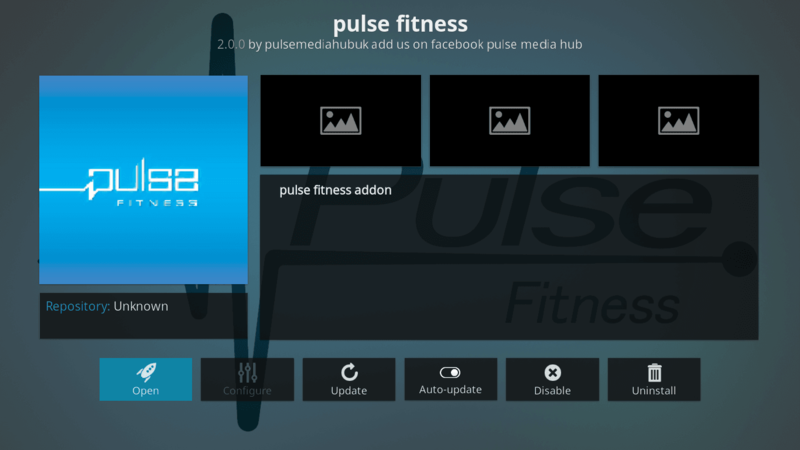 Open Install from the repository — Kodil Repository — Video add-ons — Pulse Fitness— click Install. This is another great fitness add-on providing a lot of work out training and motivational videos. These videos are really great for those who are looking for correct training programs. All the videos are made by professionals. One of the best features is the UFC section with all the data about UFC fights and news from the UFC world. Open Install from the repository — Kodil Repository — Video add-ons — Physicality — click Install. 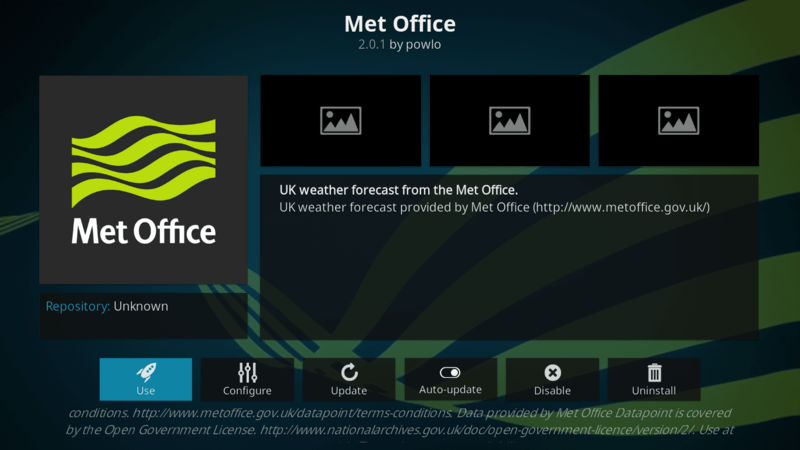 Met Office is one of the best weather forecast services. It collects data from thousands of different locations around the United Kingdom and other parts of the world. Its forecast model is considered one of the most reliable. The extension provides a 5-day forecast, location auto-detect, fast connection, and reliable information. The only drawback is that you can only select one location. But, if you do not travel much with your device, it’s not that significant. And despite this fact, it remains one of the best weather forecast Kodi addons. 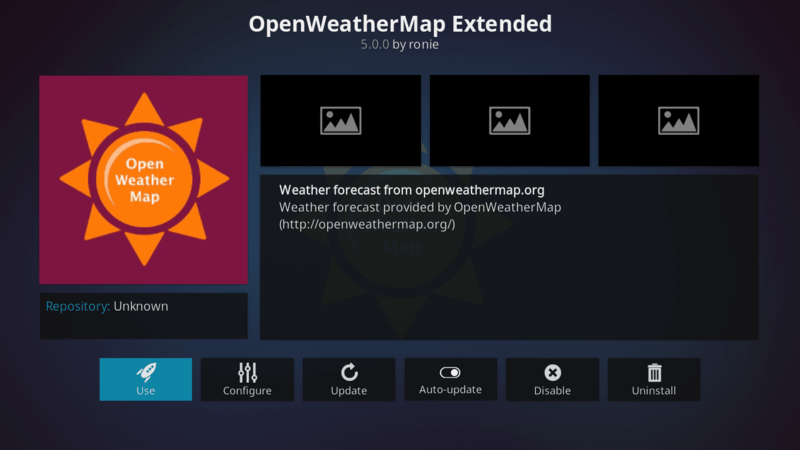 This service provides a colorful map with a detailed weather forecast. It analyses a lot of meteorological stations offering an accurate and reliable forecast. You will be able to get information from 36 hours to 2 weeks. In order to personalize this service, you will have to get an API key. 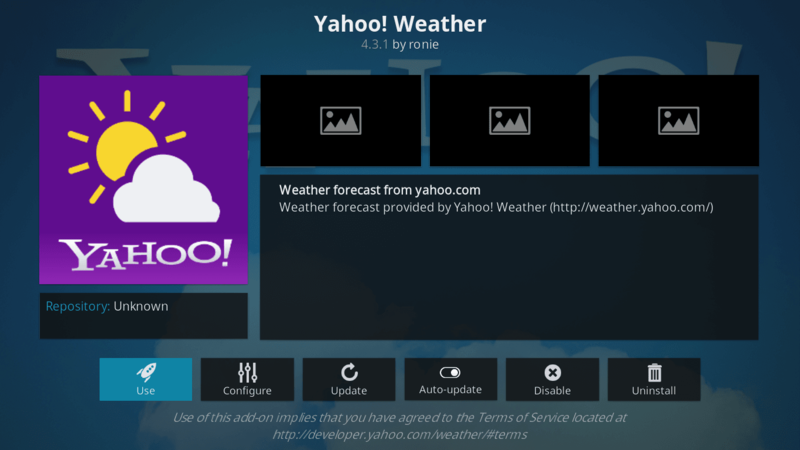 Yahoo Weather is a very popular weather forecast service. It is very easy to use and offers accurate and reliable predictions. You do not require a login and password and can choose several locations. You must definitely try this add-on. This is a quite interesting category. 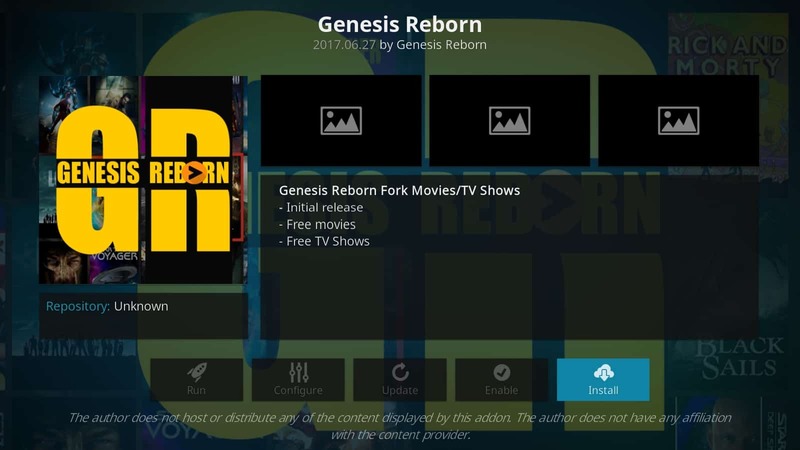 It provides addresses which are designed to fix any issues you may face using the Kodi media center including backups creation, file restoring, and also adding new addons. 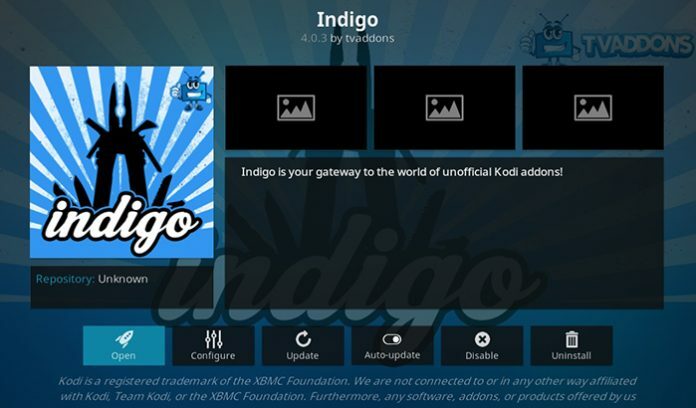 No doubts, Indigo is the most powerful maintenance add-on for Kodi. Many specialists advise installing it in the very beginning. 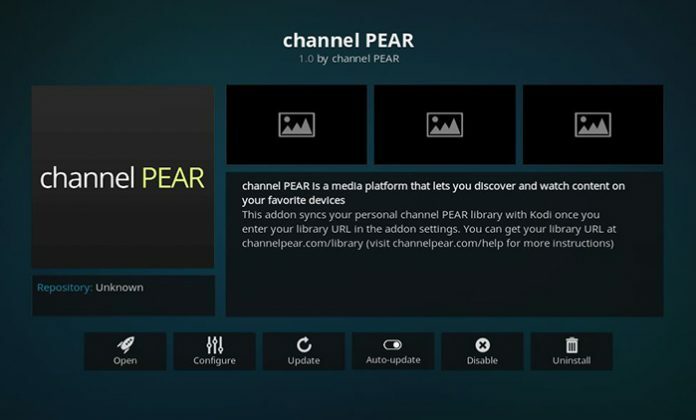 It provides a huge variety of capabilities and extends the default Kodi functionality. Let’s dive into its capabilities. First of all, use this extension to fix any troubles with your Kodi player. The add-on can clean the cache memory or restore the application to the default settings. Also, it is able to create backups on a regular basis and restore them if anything bad happens. This means that you will never lose your data. In addition, the extension allows configuring the media center. To use all the provided features you might require a reliable internet connection. As you can see, it is a really full-fledged maintenance add-on, so definitely try it to fix any possible issues with the installation. Add the Fusion repository (see Incursion add-on mentioned above). After that, go to Add-ons — Enter add-on browser — Install from zip file — Fusion — begin-here — program.indigo-.3.0.2.zip. GitHub is the most popular software-hosting platform in the world. Many developers store their solutions there. This service allows sharing code with other developers. Moreover, anyone can contribute to projects and make them better. You may probably know that installing stunning third-party addons for Kodi is not the easiest process. Git Browser makes it much simpler. It allows downloading and installing third-party addons hosted on GitHub. Do not worry: most projects are stored on the platform. 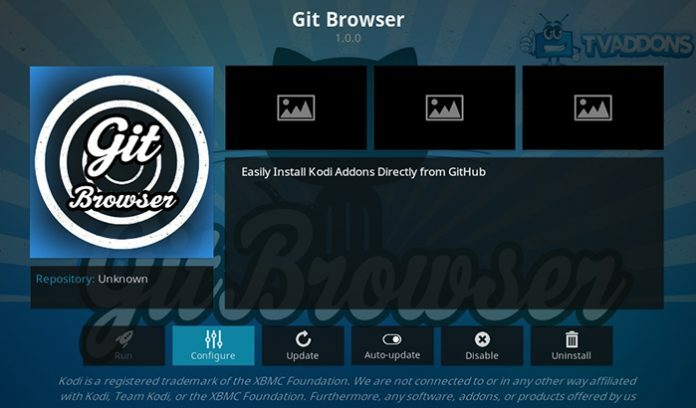 The best option of Git Browser is that it supports all the available devices supporting the Kodi media center. Open Install from the repository — Fusion — Services — Git Browser — click Install. By default, Kodi is a really multifunctional media center. However, you are able to extend its functionality by adding any of the thousands of available addons. We have only listed some of the best Kodi addons here, but there are many more. Which one of them do you like the most?